As NASA’s Space Launch System (SLS) rocket continues toward its initial debut in 2017, a Boeing proposal for a new Large Upper Stage for the rocket would see SLS gain the ability to perform more complex, long-range missions in a more cost-effective manner. As previously reported by NASASpaceflight.com, Boeing has brought forward a proposal to use the current machining technology at the Michoud Assembly Facility, that will be used to construct the Space Launch System’s (SLS’s) core stage, to construct a new, Large Upper Stage (LUS) for SLS. This proposed LUS would provide SLS with considerable more lifting power for payloads to translunar, solar, Martian, and Uranian targets. 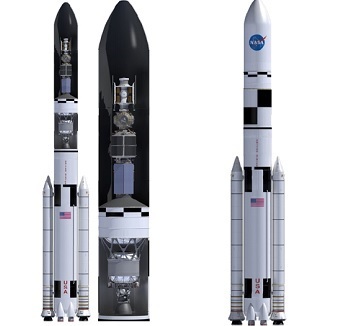 While this has always been a goal of the SLS, as defined by NASA, Boeing’s proposed new LUS would provide greater mission range and support capabilities to already-identified exploration targets and increase SLS’s viability as a competitor in the launch market for translunar, solar, and outer solar system missions. Building off of NASA’s recently announced initiative to use some of the opening missions of SLS to capture an asteroid and bring it Earth-local space, Boeing identifies the construction of a translunar outpost as critical to the success of this endeavor. 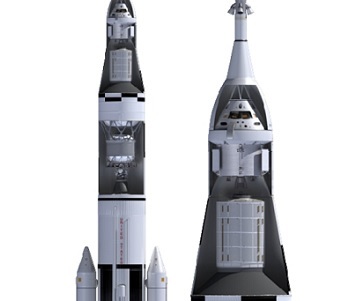 Based on NASA’s intention to use SLS in a “phased development plan” that will increase SLS’s payload lift capability to increasingly larger payloads, Boeing notes that “The SLS will be ideally suited to deliver a variety of payloads to translunar space. Reducing the number of launches needed to loft a translunar outpost by the simple addition of the new LUS (machined from already-existing hardware) would add to the promised cost-effectiveness of the SLS rocket – something that has been seen in the initial design cycles of the rocket with the use of numerous Shuttle-Derived Technology components. Furthermore, a translunar outpost could be used as “An Exploration Platform … [that] would improve the science and technical return of the early missions while also increasing Orion capability through resource provision and providing an abort location and safe haven for vehicle contingencies,” states the Boeing presentation. This would allow for increased mission duration and safety as well as expanded mission options including sorties to the moon and use of the outpost as an exploration platform from which to commence travel to NEOs (Near Earth Objects) and NEAs (Near Earth Asteroids). While the proposed configuration of this Exploration Platform in translunar space is just that, a proposal, Boeing has identified several preliminary characteristics of the platform. These include input and construction assistance from the international space community, notably the Russian Federal Space Agency’s prime contract company RSC Energia – with whom Boeing has already performed an initial proposal study. However, RSC Energia, upon studying the initial proposal, identified a hybrid module as the best option for an Exploration Platform in translunar space. Following the launch and placement of the hybrid module and node/docking ball sections, the SLS with LUS would launch a crewed Orion spacecraft and habitat module (based off the remaining ISS Multi-Purpose Logistics Modules – MPLMs) in a single launch. Following launch, the LUS would be used to conduct a translunar insertion burn to send Orion and the habitat module on their way to the proper location. After departing Earth orbit, the Orion would detach from the main spacecraft, turn around 180 degrees (like Apollo used to during the moon landing missions), and then dock to the habitat module. The combined Orion/habitat module vehicle would then separate from the expended LUS and fly to the SPM-derived core component of the Exploration Platform. 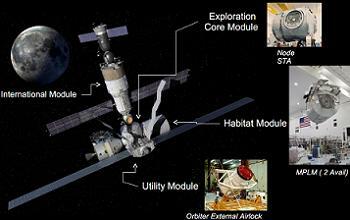 The modified MPLM habitat module would have its Common Berthing Mechanism (CBM) replaced with an NDS and have its non-CBM end modified to include another NDS. 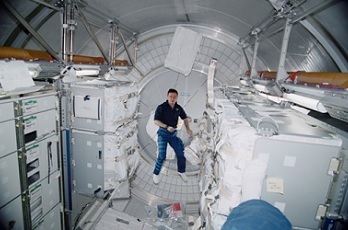 Its internal space would be modified to maximize habitable volume – something that wasn’t possible with the MPLMs’ use for transfer of removable racks to and from the ISS during Shuttle missions. According to the Boeing presentation, “these three elements … form a very capable Exploration Platform that would enable and significantly enhance human operation in translunar space. 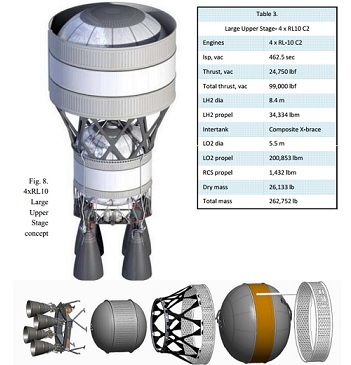 Aside from the translunar outpost and Exploration Platform, Boeing also outlines the SLS/LUS duo’s launch ability for Bigelow’s BA-2100 inflatable habitat module. “SLS allows delivery of the BA-2100 via direct insertion to a low earth orbit and is the only launch vehicle capable of delivering a payload this large to LEO,” notes the Boeing presentation. 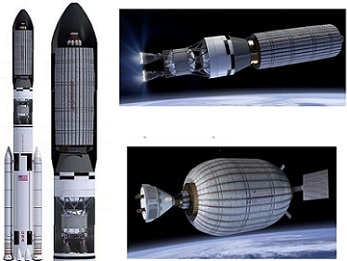 Bigelow’s BA-2100 inflatable module is considered a self-sufficient module for “long duration human habitation” capable of expanding, after launch, to 2100 cubic meters of pressurized volume. The module itself would carry all the supplies and equipment needed for its mission, which can range from a commercial space hotel to a proving ground for independent scientific research modules. For SLS/LUS’s part, the BA-2100 could be inserted directly in LEO (Low Earth Orbit). Boeing further defines SLS as the only vehicle capable of launching BA-2100 into LEO because of the module’s large nature. Moving beyond the immediate Earth area, Boeing also identifies several beyond Earth missions that SLS could accomplish easier and in a more cost-effective manner than already existing launchers can. 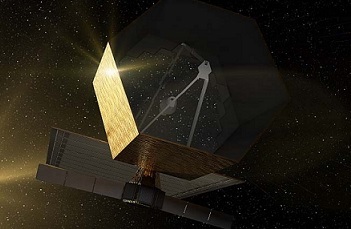 One of these missions is a proposed ATLAST Space Telescope mission. Defined as a telescope to “Characterize Exoplanets and search for signs of life,” Boeing states that SLS would be able to loft this 8m monolithic or 16m deployable ATLAST telescope to the Earth-Sun L2 Lagrangian point in a single launch. The current crop of existing EELVs (Enhanced Expendable Launch Vehicles – e.g. Atlas V and Delta IV) would require multiple launches and in-space assembly of the same type of telescope. 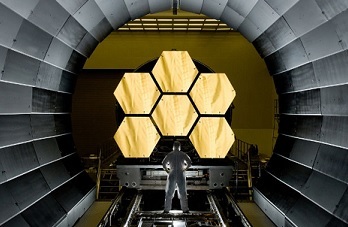 Since a monolithic mirror can “achieve diffraction-limited performance at a shorter wavelength than a segmented mirror with much difficulty, complexity, cost and risk,” SLS is a more effective launcher for large-scale space telescopes. Specifically, the Boeing presentation notes that the ATLAST telescope would be capable of observing “~85 stars 3 times each in a 5-year period, probe super massive black holes (SMBHs), conduct direct measurements of the mass of high redshift SMBHs, enable star formation histories to be reconstructed for hundreds of galaxies, track how and when galaxies assemble their present stars, and measure the mean density profile of dwarf spheroidal galaxies (dSph). This type of telescope would have 10 times the resolution of the coming JWST and 300 times the resolution power of the Hubble Space Telescope. 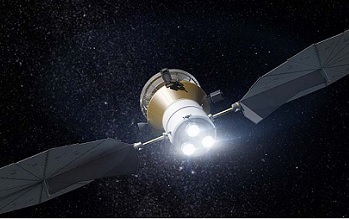 Moving out ever further, Boeing identifies the SLS/LUS capabilities for a proposed Solar Probe 2 mission – the first probe capable of consistent and multiple close encounters with the sun. 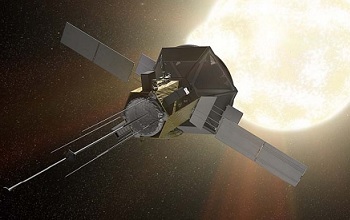 The probe could also be used as part of a fleet of spacecraft to “develop critical forecasting capability of the space radiation environment in support of human and robotic exploration” of the solar system. Specifically, the SLS/LUS duo would be capable of placing the Solar Probe 2 into a solar orbit with a low perihelion (minimum of 5 solar radii). Finally, Boeing outlines the 1.7mt payload delivery possibly of the SLS/LUS to planet Uranus. Boeing states that utilization of SLS/LUS for this mission would not only shorten the travel time between Earth and Uranus, but also provide for the incorporation of increased spacecraft mass, thereby allowing for the elimination of the need for a Solar Electric Power stage to the payload.